Picture from Dr Vivian Balakrishnan’s Facebook page. Dr Balakrishnan was Environment Minister before taking up his current role as Minister of Foreign Affairs. It has often been said that pragmatism is Singapore’s governing principle. A minuscule island largely made up of immigrants that underwent a sudden metamorphosis into a nation when we were forced out of Malaysia in 1965, Singapore has always had to be unwaveringly practical-minded in order to survive in a tough world. Through this, we achieved what many around the world have termed an economic miracle and have become a respected player with an outsized influence on the world stage both diplomatically and economically. Along the way, we have had to compromise the environment at times, for instance producing substantial carbon emissions from our key manufacturing and aviation sectors, and clearing a large proportion of our rainforest to build homes, shopping malls, offices and warehouses. However, even in our times of most acute economic need, Singapore has never totally forsaken the environment and has made significant efforts to contribute constructively to global endeavours to protect the Earth, ameliorate our own environmental impact, and even find a complementarity between economy and environment. Thus I am of the view that Singapore strikes a reasonably good balance between the economy and environment, but leans slightly towards economic imperatives in its decision-making. It cannot be denied that this tiny country of 716 square kilometres with no natural resources needs to make certain compromises on environmental protection in order to feed its 5.54 million people and provide them with the high standard of living they have come to expect as citizens and residents of a First World nation. We have always had to pursue development in any industry in which we could carve out a relevance for ourselves in the world economy. When a country is so insignificant geographically that one needs a magnifying glass to find us on the world map, it cannot be too ethically delicate or idealistic in the economic choices it makes. Thus we have built up some key industries that pollute significantly – tourism, aviation, shipping and manufacturing to name a few. In fact, one great irony in our economy is that even though we do not produce a single drop of crude oil, we are world leaders in oil rig building through Keppel Corporation and Sembcorp Marine. We are also a major oil refining and trading hub with a growing liquefied natural gas trading and storage industry. Our airport and seaport are among the busiest in the world and we attract some three times more tourists each year than the size of our resident population. Inevitably, all these activities either produce, or are complicit in producing, very large amounts of carbon emissions contributing to anthropogenic climate change. However, Singapore has always tried to mitigate its adverse impact on the environment through a range of measures. The country’s leadership has shown fairly consistent awareness of the need to strike a balance. In fact, at the very beginning of our nationhood, our founding prime minister Lee Kuan Yew possessed the foresight to recognise that we needed to green our city-state in order to make it a pleasant, tolerable place to live. Thus we planted thousands of trees and flowering plants throughout the country, earning the moniker of Garden City. This lush vegetation keeps our air clean despite the heavy vehicular traffic on the roads and industrial pollution. Since the time of Mr Lee, successive governments have continued to introduce policies to alleviate the strain on the ecosystem. In recent times, the government has sought to encourage the use of public transport as well as other environmentally-friendly modes of transportation such as cycling. The mass rapid transit (MRT) network has been steadily expanded as new lines such as the Downtown Line and Circle Line were added to the original North-South and East-West lines. Park connectors have been built as well as broad pavements with bicyle lanes have been developed in several estates including Tampines and Ang Mo Kio. As for those who insist on driving a car, the Carbon Emissions-Based Vehicle Scheme, which provides subsidies for fuel-efficient vehicles, has been put in place. Finally, we have cleaned up our rivers and they are no longer the fetid, repulsive dumps they once were but rather lovely places for a boat ride or a stroll. Thus it is clear that despite the seemingly overwhelming need for economic realism, Singapore has made serious efforts to care for the environment. A fascinating paradox for Singapore is that our lack of natural resources has made us very resourceful. It is this quality that has enabled us to find a complementarity between economic growth and environmental concerns, such that we engage in projects that bring benefits to both. In recent times, there has been a pressing need to both grow the economy and, with increasingly alarming reports of a warming planet, to care for Gaia as well – and Singapore is living proof that necessity is the mother of invention. Our showcase public park, Gardens by the Bay, is highly popular with tourists for its innovative design and horticultural technology, and yet a marvel of eco-friendliness with its beautiful trees and lush flowering plants. In fact, even our less glamorous public parks and even roadside trees have not only helped safeguard our environmental health, but played their part in boosting our economy as well. The clean air and outdoor lifestyle options that they provide gives us a major advantage over other major cities in terms of liveability. Take Hong Kong for example, another major financial centre in Asia which is generally seen as our biggest regional rival. It is perpetually plagued by air pollution, as are Beijing, Mumbai and Manila. Our outstanding air quality and concomitant high quality of life afford us a key advantage in the global war for talent, which is critical to our economic competitiveness as a small state. Thus it is evident that for Singapore, the ostensible conflict between economy and environment is at times a false dichotomy. Apart from pursuing eco-friendly initiatives on our fair shores, Singapore is also a constructive, committed and respected participant in regional and global efforts to solve environmental challenges. Our government invests heavily in technology and human resources to enable us to make an outsized contribution on the world stage. One example would be our role in managing the perennial smoke haze problem in Southeast Asia caused mainly by Indonesian plantation owners clearing land by burning. We have provided satellite data to the Indonesian authorities to help them pin down those responsible and sent our aircraft to aid in water-bombing operations. We have more than pulled our weight even on the highest stage in global environmental efforts – the United Nations climate change summits, notably the landmark conference in Paris in 2015. According to the Today newspaper, the Singapore team led by Foreign Affairs Minister Dr Vivian Balakrishnan worked tirelessly – often overnight – to act as an honest broker, particularly on the critical issue of differentiation. Singapore was able to perform this role because it is a well-respected nation, perceived as neutral and credible, and possesses strong skills in diplomacy. That we played an important part in achieving the historic climate deal in Paris – which binds all signatories to emissions cuts – is testament to the claim that we take the environment seriously and have struck a respectable degree of balance between economy and environment. On the whole, it is my position that the demands of the economy and the environment are reasonably well-balanced in Singapore, as well as one could expect of a small nation not blessed with natural resources. Of course we are some distance from being perfect in this regard, and are still responsible for a substantial amount of carbon emissions and deforestation, producing 4.32 metric tons of carbon dioxide per capita in 2011, according to the World Bank. But given our circumstances I contend that we have done a credible job. Our emissions are below those of most other developed countries such as the United States (17.02 tons), South Korea (11.84 tons), and France (5.19 tons). Pragmatic Singapore would do well to continue to devote itself to preserving Mother Earth – after all, our own survival as a low-lying island would be greatly imperilled by rising oceans. Copyright 2016 Steven Ooi. All rights reserved. No part of this work is to be reproduced without the written consent of the author. 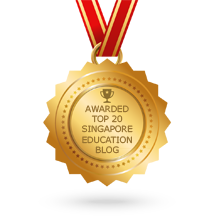 The blogger, a First Class Honours grad from NUS, retired from a distinguished 14-year career as a GP and English tutor at the age of 42. This entry was posted in Argumentative essays, English essays, gp model essays, Model essays and tagged general paper essay, gp model essay on environment, gp model essays, gp tuition, gp tutor. Bookmark the permalink.